A project to revamp the ferry terminal in Sausalito and planned upgrades to San Francisco’s docks, above, along with Larkspur, are intended to smooth boarding for wheelchair users under the Americans with Disabilities Act. An embattled $11 million project to rebuild and revamp an aging Sausalito Ferry terminal will shrink to meet concerns of Sausalito neighbors, as the project faced further critique last week. 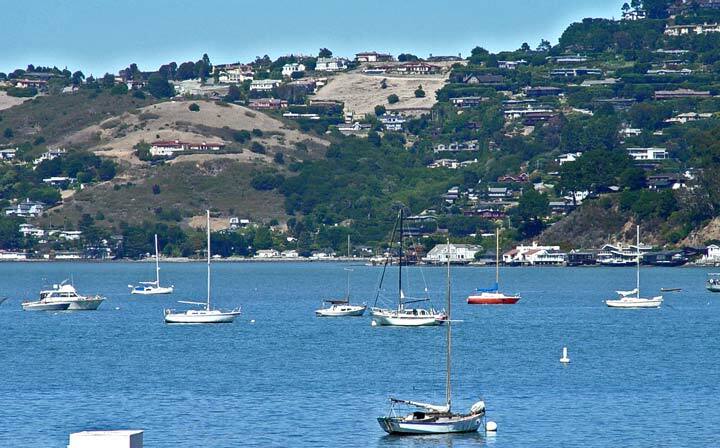 And the project may face other obstacles as well, as The City of Sausalito sent a letter essentially barring construction crews from a long-planned staging area. Lot’s of retiring going on at City Hall this week. Many are wondering why and what this will mean to the continuing reign on Ed Lee. 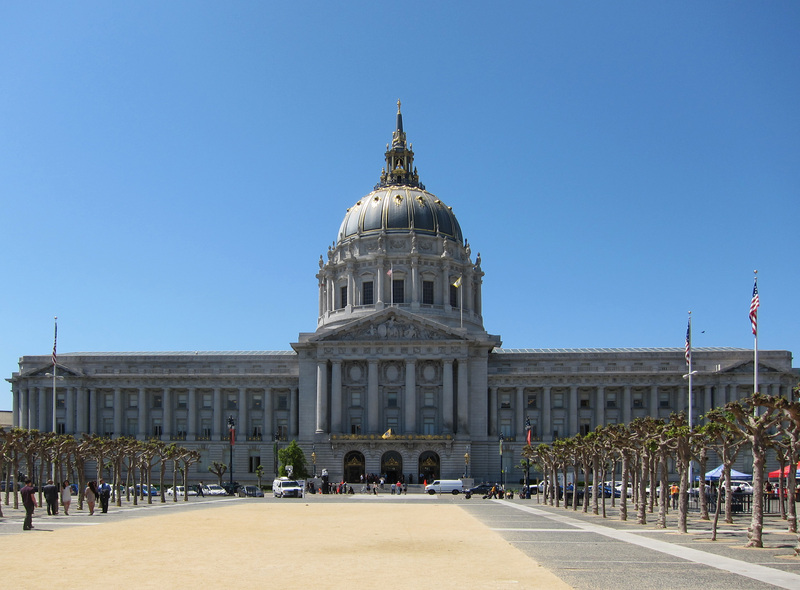 The man who has acted as City Hall’s most influential behind-the-scenes power broker for three consecutive San Francisco mayors is stepping down from his post at the end of June. Named as Kawa’s successor is Jason Elliott, who has been serving as the mayor’s deputy chief of staff. Elliott first joined the Mayor’s Office in 2009 as Newsom’s policy advisor, after working for Newsom’s failed campaign for governor, and stayed on to work in Lee’s administration. The dream of making excursions to San Francisco from the North Bay aboard a train, or venturing north from the city to Wine Country, is closer to reality with the looming start of passenger rail service, but current timetables for the train, ferry and a connecting shuttle indicate riders will have to be adaptable. While the focus since Sonoma Marin Area Rail Transit released its schedule last week has been on commuters — the rail agency’s bread and butter ridership — another key component of service is linking people to San Francisco via the Larkspur ferry. 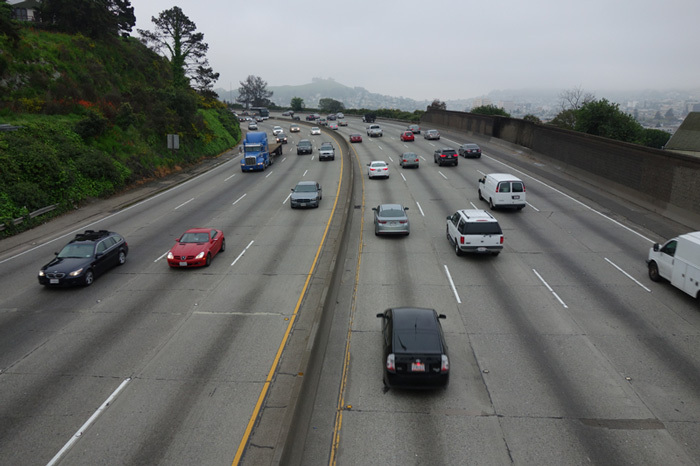 California’s famously congested freeways may soon do more than create headaches. The technology is peculiar but proven. Devices that convert mechanical force into electricity are used in watches and lighters and are being tested for power generation on sidewalks and runways. A San Francisco nightclub has even leveraged the pulses of a dance floor to power its lights and music. Q I read your response to us Peninsula folks that our traffic hopes rest with faster and more Caltrain service. But I have given up on Caltrain. Why? There are zero places to park at the Mountain View station, as the lot is always full. Surrounding street parking is limited to two-hour and five-hour zones. This is not enough time to go to a Giants game or other event in the city without risking a parking ticket. Believe me, I’ve tried Caltrain and have given up, hence adding to the gridlock on Highway 101. Nearby stations have the same problem. Faster trains are useless without better parking options. If you’re a Caltrain rider who would like to voice your frustration with (or support of!) the proposed fare increase, the commuter rail line service will have staffed tables at 11 different stations tomorrow, Tuesday, May 23, to gather your feedback. Additionally, the Peninsula Corridor Joint Powers Board will have a public meeting on Thursday, July 6 at 10 a.m. at the Caltrain Administrative Office in San Carlos. You don’t even have to be present at the meeting to speak up, because Caltrain is taking comments online and via email at changes@caltrain.com. With a population of 4.6 million people and an area of 3,800 square miles, Melbourne’s transit mode share isn’t particularly high but the system activates the city. Ubiquitous trams reinforce Melbourne’s historic character, including a free tram zone in the Central Business District and a free tram loop that links railroad stations, harbor, convention center, stadium, Parliament, museums, stores, arcades, alleyways…. For San Francisco’s short distances within its 49 square miles, the palpable lesson is that bus rapid networks, trams and ferries can activate streets and neighborhoods—quickly. Free Shuttle Bus Loops could link downtown to the waterfront, to neighborhoods and to transit hubs—for a fraction of the cost of subways and big infrastructure projects. CLEAN TECHNICA How Much Would It Cost Nowadays To Build A Massive Tram System Like Melbourne’s? https://cleantechnica.com/2014/12/31/melbourne-tram-system-huge/ Melbourne, Australia, is home to what is by far the largest streetcar system currently in operation in the world — one that makes those found in the US cities where there is one at all seem like a fair ride in comparison. The urban streetcar system comprises roughly 249 kilometers of double-track and 487 trams in total. You’re probably getting jealous now, and for good reason. So a good question to ask would be, why doesn’t the city I live in have such great public transportation infrastructure? And how much would it cost for it to develop a similar system? The main takeaway from this all, though, is that maintaining and/or rebuilding or renovating legacy infrastructure is usually the most economical approach to public transportation infrastructure buildout… by far. It’s just too bad that so many of these quite effective tram systems (which once covered the US) were done away with during the wild embrace of the personal automobile during the last century. http://www.railpage.org.au/tram/melbhist.html After the Second World War, when all that was shiny and new (like the motor car) was embraced, and all that was established and old-fashioned (like the tram) was rejected, Melbourne alone stood against the tide. The Chairman of the MMTB, Sir Robert Risson, far from having a taste for tramway closures like his opposite numbers elsewhere, stoutly defended the trams against a hostile press. He upgraded track by setting it in mass concrete (when this was still politically possible) and even the Government could see that removing trams would be a waste of the investment. He argued that trams would always attract more patronage than an equivalent bus service, and proved it in 1956 when the Bourke St bus service (which had replaced a cable tram line) was upgraded to a tram in time for the Olympic games, despite the wailing of the newspapers. No doubt the cause was aided by an intransigent union, who were so determined that any bus which replaced a tram must have two-man crewing, that the economics was not really weighted in favour of the bus anyway. The other factor in Melbourne’s favour that is often mentioned is the wide main streets, which meant that there was less obstruction of cars than in other cities. By the mid 1970s, Melbourne could see how lucky she had been not to follow the fashions of the ’50s, and even the conservative government, normally given to starving public transport to death, agreed to the purchase of new trams. These were the Z-class, which are a mixed success, but were good enough to be followed by the A-class and B-class trams in the 1980s. DAILY KOS: Bernie Sanders cracks up as Trump praises Australian healthcare after his evil bill http://www.dailykos.com/story/2017/05/05/1659272/-Bernie-Sanders-cracks-up Donald Trump praises Australian Universal Healthcare After watching the clip, both Bernie Sanders and Chris Hayes laughed almost uncontrollably. “Wait a minute Chris,” Sanders said. “The president has just said it. That’s great. Let’s take a look at the Australian healthcare system. Maybe let’s take a look at the Canadian healthcare system or systems throughout Europe. The Australian health care system provides universal access to a comprehensive range of services, largely publicly funded through general taxation. Medicare was introduced in 1984 and covers universal access to free treatment in public hospitals and subsidies for medical services; Medicare is now sometimes used to describe the Australian health care system though precisely it refers to access to hospitals (hospital Medicare) and medical care (medical Medicare). Health indicators are strong, for example Australian life expectancy is the third longest in the OECD. Australia’s Melbourne has similarities with San Francisco’s urban genetics—art, culture, diversity, innovation, quirkiness, scale, character, history…. But Melbourne has been ranked #1 as the world’s most livable city for six years in a row—while San Francisco’s ranking has dropped. No American city ranks in the top tier of livable cities. But San Francisco has a spectacular beauty and geographic uniqueness that should surpass any waterfront city in the world. Learning from Melbourne, I was struck by the around-the-clock vitality—networks of pedestrian alleyways, bars, cafés, coffee houses, small businesses, historic arcades, public art, parks and tram transit. Melbourne seems to have a democratic distribution of benefits to all its citizens—a fine-grained urban grittiness that charms and entices. Such democratic quality of life issues should be discussed—like at the D3DC forum below. Liveability is declining in a fifth of cities surveyed. The index, measured out of 100, considers 30 factors related to safety, health care, educational resources, infrastructure and the environment to calculate scores for 140 cities. Those that score best tend to be mid-sized cities in wealthier countries. Melbourne tops the list for the sixth year in a row (see chart, right), and six of the top ten cities are in Australia or Canada. Some American cities, including Atlanta, San Francisco and Chicago have also dropped down the rankings after spikes in civil unrest. THE ABC: Melbourne ranked world’s most liveable city for sixth consecutive year by EIU http://www.abc.net.au/news/2016-08-18/melbourne-ranked-worlds-most-liveable-city-for-sixth-year/7761642 The EIU [Economist Intelligence Unit] index scores 140 of the world’s major cities in healthcare, education, stability, culture, environment and infrastructure. Melbourne scored 97.5 out of 100, one basis point more than Austria’s Vienna. Canada’s Vancouver and Toronto ranked third and fourth respectively. Adelaide was rated equal fifth most livable city, tied with Calgary, Canada. The San Francisco Municipal Transportation Agency isn’t spending its voter-approved bond money fast enough, so it’s redirecting funding to Muni projects that are ready to go — right now. Nearly $26 million in bond money that will not be immediately spent on some portions of the “Muni Forward” program to boost bus and train service, the Better Market Street project and other pedestrian safety projects will instead flow to Muni facility improvements. Could this be a good thing? A careful analysis of the improvements so far reveal an alarming trend of unfinished projects, including no signage to direct riders to the new placement of stops. We heard there is no marked bus stop at General Hospital for the last week. The public is alarmed over the lack of respect City Hall is showing to our Fire Department and emergency responders. The Draft Environmental Impact Report (DEIR) is now available; comment on the DEIR and the Draft Plan through June 1. * Regionally 1 house built for every 8 jobs created. Where will the region plan for the 820,000 new households forecasted between 2010 and 2040. Regionally by 2040, 3.4 million households are forecasted. 46% will be in the “Big 3 Cities” — SF, Oakland, San Jose. So what does it all mean? Climate Change, Housing costs and displacement, Economic Development and Environmental Impact and Transportation. A question raised at a recent MTC committee meeting was: Should cities seeking economic development take responsibility for housing? (Think the Menlo Park Facebook Expansion). The local Menlo Park approval for 6,000 more jobs has regional impact. No mention of a Public Regional Express Bus System to move the population. More Private Commuter buses operating on your residential street?